Maison & Objet is the first big design trade show of the year, and so traditionally sees a lot of new launches and new trends. I went over to Paris to check it out. My first impressions, somewhat hampered by a full cloakroom, were “huge and hot”! It’s a massive and diverse show with something for everyone – and with a very effective heating system! 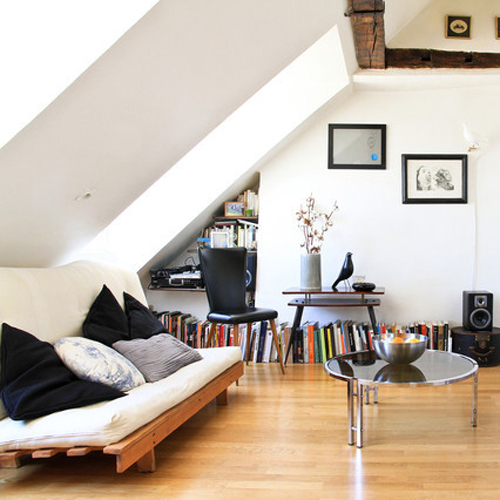 Having checked in to a beautiful and bijou airbnb apartment right in the center of Paris (above), had some food – une assiette mixte, naturellement – and some sleep, I was a woman with a plan; ready, willing and able to take on Maison. 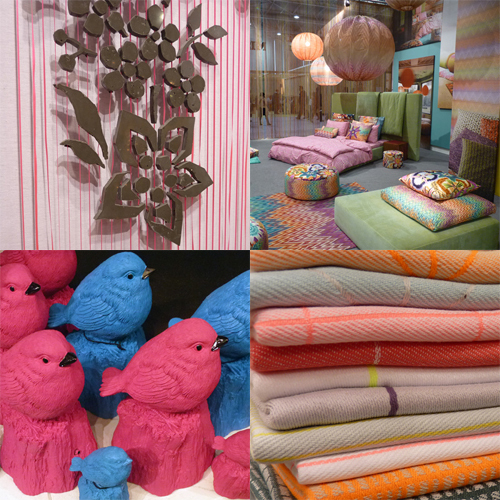 Clockwise from top left: concrete lace curtain by Doreen Westphal (more from her to come),Missoni Home bedroom range, Hay selection of blankets and Pols Potten birds (that tweet when you get close to them!). 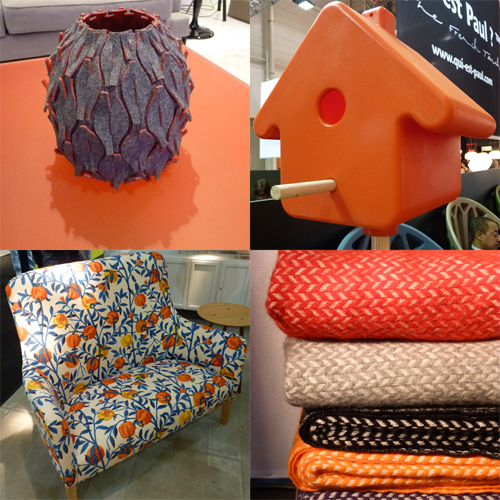 Clockwise from top left, felt vase and coffee table from Ligne Roset, Qui Est Paul birdhouse,Pinch sofa in a new fabric for the show, and Olika blankets. ....And then there is this gorgeous new entry from India - Kanchi Designs. 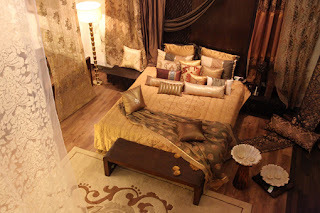 Handworked curtains to dreamy sheers, classic fusion furniture, they had it all! …although if I’m honest, yellow was still dominating – especially in one of my favorite color combinations, yellow and grey. 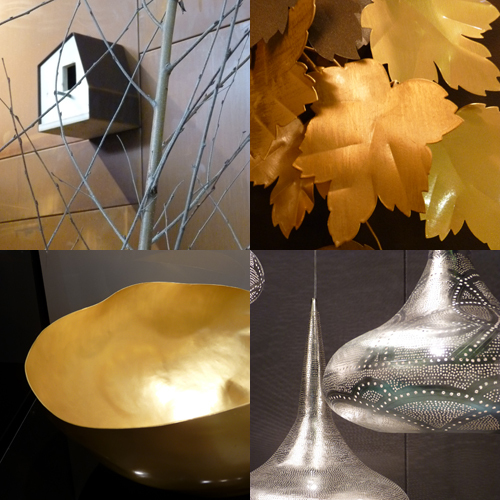 From colors to finishes, metallics were everywhere, and not just on Tom Dixon’s first stand at Maison (more on that to come too). Clockwise from top left, De Castelli‘s birdhouse, Art Et Floritude‘s Applique Pandore, Lightshades from Zenza and Tom Dixon‘s Bash Vessel. 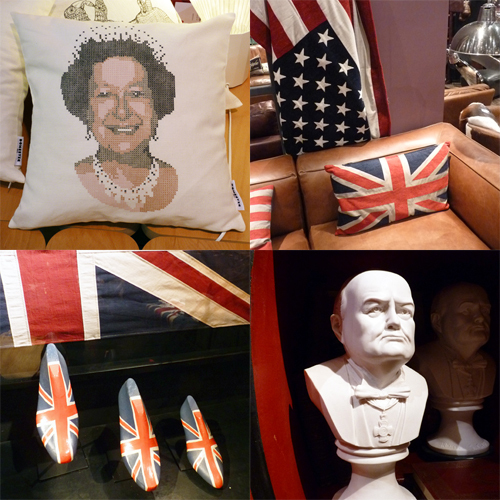 2012 in the UK will see the Queen’s Diamond Jubilee and the Olympics, so perhaps unsurprisingly, everyone’s gone Britain-mad. There’s an element of recessionary patriotism in there too I think, because the Brits weren’t the only ones celebrating their national heritage – there were plenty of American flags about too. Clockwise from top left, Queen cushion by made in design, selection from Arteinmotion, and two bottom images both from Timothy Outon. 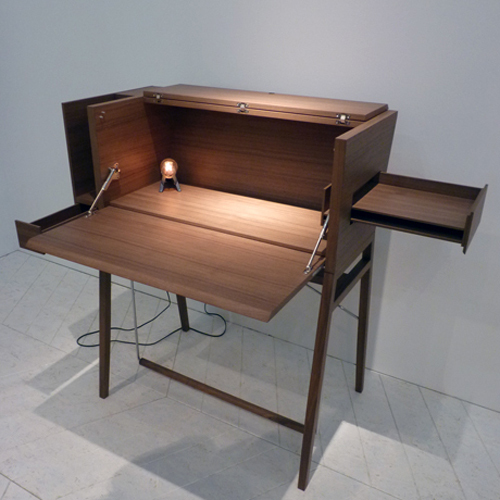 Finally, there was a lot of furniture that had double functions or secret compartments. 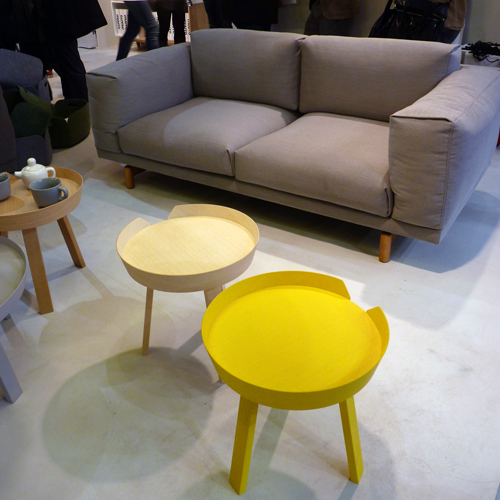 My favorite example was La Secrete from Ligne Roset. Part of their ambition to work with more female designers, it’s got hidden features galore and even a swingy foot bar. And then it was home sweet home, shoes off and feet up at our lovely airbnb apartment – phew!